Vicenza is an ancient city. In 157 b.D. it entered into the roman empire with the name Vicetia or Vincentia. In 889 it was destroyed by Ungari, and in 1001 it became an episcopal stronghold. In 1404 it became part of the Republic of Venice. 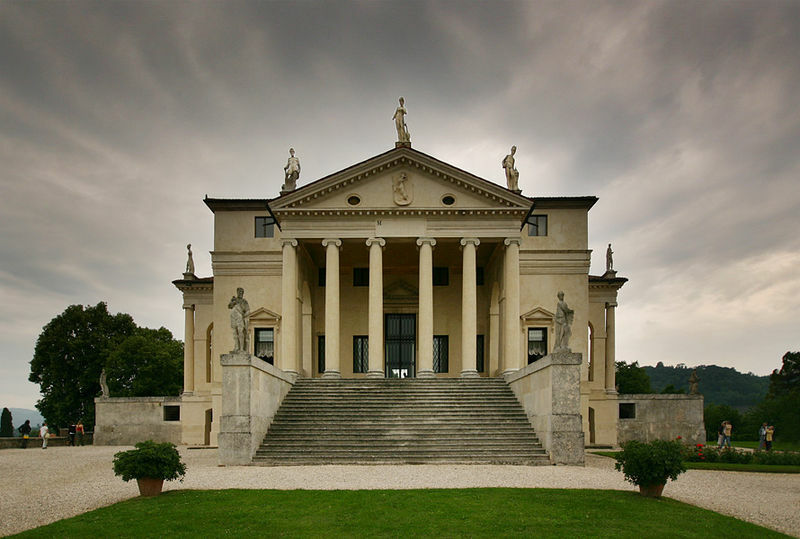 The XVI century was very important for Vicenza because Andrea Palladio built several villas and palaces. Many of the sights date from the 16th century, the town's age of splendour. The main sights include The Basilica Palladiana, considered Palladio's masterpiece, the Loggia del Capitanio, Monte di Pietà, Palazzo Chiericati, the Teatro Olimpico Palladio's last work, as well as several monumental buildings such as the Porto Fontana, Porto-Breganze, Casarotti, Da Schio and the Casa del Palladio. The Duomo dates form the 14th century. It's a beautiful example of Gothic-Renaissance with a polyptych by Veneziano. The Basilica di Monte Berico is from the 17th-early 18th century and has paintings by Veronese. The train station is located on the southern part of the town, at the end of Viale Roma. Piazza Castello and the old town is a mere 5-minute walk from the station. The railstation of Vicenza is on the line connecting Milan to Venice. There are also a number of trains to other major cities and destinations such as Bologna to the south, Bolzano to the north, and Trieste to the east via connections Verona, Padova, Venice, and Trento. Trains to the towns and cities around Vicenza depart daily (times provided are for the regionale trains). 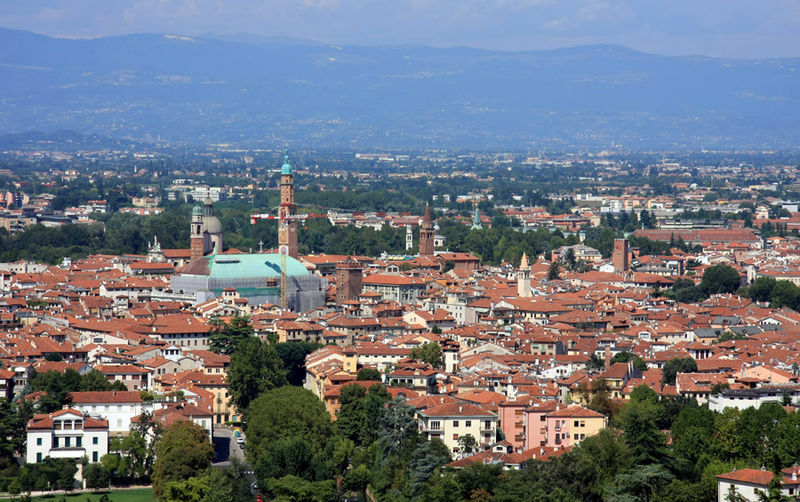 The most common are to Verona (1 hour), Padova (25 minutes), Venice (1 hour 15 minutes). Trains also depart for Bassano del Grappa, Treviso, Castelfranco, Rovigo, Sirmione, and Ferrara. 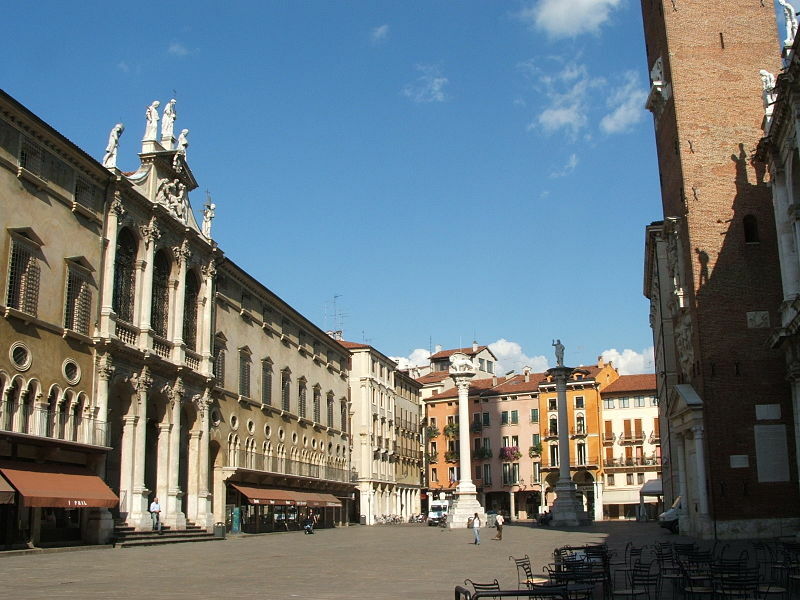 Vicenza is connected to other cities with a bus servirce offered by Ferrovie Tramvie Vicentine.